Apple announced the iPad Air, iPad mini with Retina display, OSX Mavericks, Mac Pro and MacBook Pros at last night's event. Apple announced quite a few things at the special event last night. As expected the company showed off a redesign to the iPad, branding it the iPad Air, and an iPad mini with a Retina Display (finally!). We also now have concrete details about the new Mac Pro, the MacBook Pros saw an update and the biggest highlight was of course, that OS X Mavericks is available to users for free. 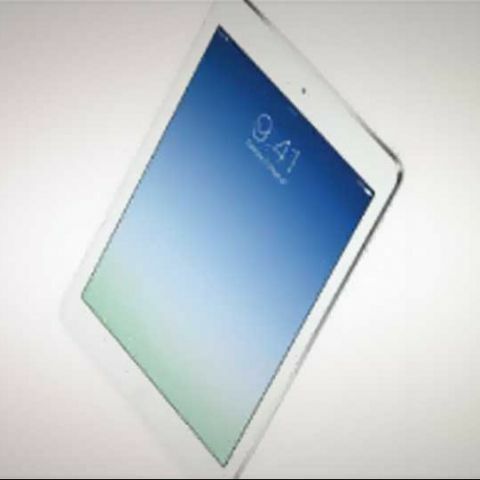 The iPad Air has been redesigned and is in line with what we have seen from the rumours circulating the Internet. It still has the 9.7-inch Retina Display with a 2048x1536 pixel resolution. It is available in two colours – space grey and silver. The iPad Air is slimmer than the iPad 4 measuring in at 7.5mm in thickness. Under the hood, the iPad Air is powered by the A7 chip with 64-bit architecture and M7 motion coprocessor. The Wi-Fi only iPad air is priced at $499 (Rs. 30,700 approx.) for the 16GB variant, $599 (Rs. 36,800 approx.) for the 32GB version, $699 (Rs. 43,000 approx.) for the 64GB variant and $799 (Rs. 49,000 approx.) for the 128GB. 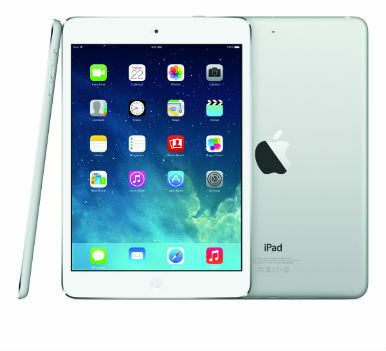 The Wi-Fi plus cellular version of the iPad Air are priced at $629 (Rs. 38,700 approx.) for the 16GB version, $729 (Rs. 44,800 approx.) for the 32GB version, $829 (Rs. 51,000 approx.) for the 64GB variant and $929 (Rs. 57,000 approx.) for the 128GB. The iPad mini has seen a bump in specifications. The 7.9-inch display now has a 2048x1536 pixel resolution. Under the hood, the iPad mini also has the A7 chip with 64-bit architecture and M7 motion coprocessor. The device is 7.5mm in thickness and weighs 331 grams. The mini comes in the same two colours – space grey and silver. The Wi-Fi only iPad Mini is priced at $399 (Rs. 24,500 approx.) for the 16GB variant, $499 (Rs. 30,700 approx.) for the 32GB version, $599 (Rs. 36,800 approx.) for the 64GB variant and $699 for the 128GB. 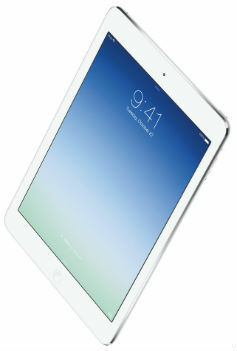 The Wi-Fi plus cellular version of the new iPad mini are priced at $529 (Rs. 32,500 approx.) for the 16GB version, $629 (Rs. 38,700 approx.) for the 32GB version, $729 (Rs. 44,800 approx.) for the 64GB variant and $829 (Rs. 51,000 approx.) for the 128GB. 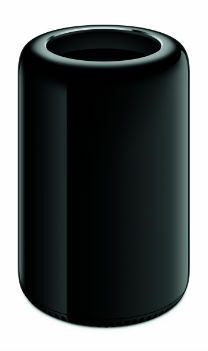 We finally have details about the specifications and the launch of the Space age Mac Pro, which was unveiled at WWDC. The Mac Pro will start at $2999 (Rs. 1.84 lakhs approx.) and will be available from December. Under the hood, the device has the Intel Xeon E5 processors, supports up to 64GB RAM, dual AMD FirePro graphics chips with up to 6GB of dedicated memory, and up to 1TB of far faster PCI Express solid state storage. Apple claims that the Mac Pro has 7 teraflops of compute power. It is capable of seamlessly editing full-resolution 4K video while simultaneously rendering effects in the background. The rear of the Mac Pro has six Thunderbolt 2 ports along with four USB 3.0 ports, dual Gigabit Ethernet ports, and HDMI out. The system will ship with OSX Mavericks. Apple also refreshed the 13 and 15-inch MacBook Pro with Retina display lineup. The new 13-inch model is thinner measuring in at 0.71-inches in thickness and weighs thick and weighs 1.57kgs. It has 4GB RAM and Apple claims that the device will last for 9 hours. It has a starting price of $1,299 (Rs. 80,000 approx.). Moving on to the 15-inch MacBook Pro Retina Display the device has been updated with the new Iris Pro integrated graphics along with other performance boosts. Apple claims that the battery will last up to 8 hours. The 15-inch machine comes with a Thunderbolt 2 port, and has 802.11ac Wi-Fi support. It has a 2GHz Core i7 processor, 8GB of RAM and 256GB SSD. The price of the 15-inch Pro starts at $1,999 (Rs. 1.23 lakhs approx.). For $2,599 (Rs. 1.6 lakhs approx.) users can get a 2.3GHz processor, Nvidia GeForce GT 750M graphics card and 512GB of flash storage. 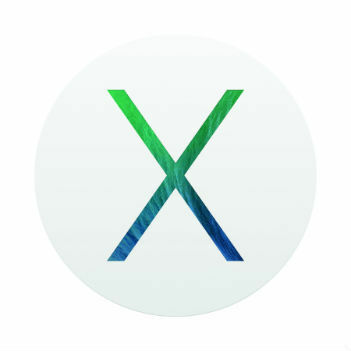 Moving away from the hardware, Apple also announced the availability of Mac OS X Mavericks. The best part of the announcement is that the OS is available to users as a free download. You can download the new OS for free today if you're on a Mac that is up to 7 years old. OS X Mavericks brings with it over 200 new features. Some of the noteworthy ones are – iBooks and Maps integration, added features to the finder, better notifications, support for multiple displays, iCloud Keychain, Safari and more. iLife has been updated for iOS as well as OSX. The iOS update for iLife focuses on optimization with the 64-bit architecture. The desktop version of the app too has updates bringing better browsing and sharing features. Garage Band now has 32 tracks on iOS and a new sound library on the Mac. iWork too has seen an update on iOS to support the 64-bit architecture. The app brings with it new effects and animations. iWork, which includes Pages, Numbers, and Keynote is available for free to users who purchase a new Mac or iOS device.